SearchReSearch: SearchResearch Challenge (4/11/18): A few typographic questions? I happen to know the answers to all the questions because I like typography (and languages). If I needed, I would search for answers either in my physical copy of James Felici's The Complete Manual of Typography (parts of which are made available online as a free PDF by the publisher's themselves, here) or with Google Image searches like [ typography glyph parts ] (better than just [ glyph parts ]) or [ typeface anatomy ]. It certainly helps that I already know the terms glyph and typeface. The best short answer to all typeface anatomy- and typography glossary-related questions Iknow of is a page I have bookmarked: a post on Fontsmith's blog entitled The A-Z of typographic terms. Question 1. As a matter of fact, if there is any specific name for the diagonal stroke of number 1, I don't know it and I couldn't find it via the searches above. For me, it is just a serif — because old style digit one doesn't have it. ("Old style numerals", also known as "text figures", are more or less the lowercase equivalent in digits.) But it does seem like it should have its own name. I guess it could be called an arm too. Question 2. I had actually forgotten that the name of that line connecting two characters was not "ligature", which is in fact the whole glyph formed by the combination of two (or more) characters; the line itself is a gadzook. This particular ligature is, like most but not all, a quaint (check the source above). Question 3. I am not exactly sure what answer you are expecting. Those two elaborate characters are not supposed to be used in large portions of text. In that sense, glyphs like these would belong to display typefaces. They also imitate handwriting. In that sense, they could be be part of a handwriting font/typeface (but, since they are not slanted, they shouldn't be called cursive, a word that is often mistaken with handwritten). By the way, uploading the image(s) to Font Squirrel's Font Identifier / Matcherator, I found out that your letter A is from Yana Regular Swash Caps II by Laura Worthington. I already knew the Z and I was surprised to see that the Matcherator couldn't find it, but the (actually better) WhatTheFont tool on MyFonts identified it correctly as the Z from Zapfino Extra Std SmallCaps by the late Hermann Zapf. Question 4. (how to find what a certain glyph/character is) I often use Google Translate's "Turn On Handwriting" feature, but for certain symbols it's not as good as a Unicode character recognition tool like shapecatcher. Both tools allow me to write/draw the character and will try to recognize it. The first character (∀) is the symbol used in maths as a universal quantifier (Unicode names it FOR ALL; it's U+2200 or alt+8704). It could also be Latin capital letter turned A, Logical OR with horizontal dash, Greek vocal notaion symbol-24, or Canadian syllabics carrier Ghu. The second character (ß) is the German letter Eszett, which stands for a double S (Unicode LATIN SMALL LETTER SHARP S, U+00DF, alt+0223). The third character (Þ) is the letter thorn, used in modern Icelandic but also in Old English, Gothic, and Old Norse alphabets (Unicode LATIN CAPITAL LETTER THORN, U+.00DE, alt+0222). Because I already knew the the symbols, I used a small and free character map application for Windows that I use a lot to find out their Unicode names and numbers: Andrew West / BabelStone's BabelMap. If I remember correctly, Apple users have a similar tool already in the operating system. Is this true? [Upside down A is] tried drawing it in translate. No go. just queried and found The upside-down A symbol is the universal quantifier from predicate logic. Whatever that is. [Loopy B] finds wikipedia mathematical alphanumeric symbols. THis is small Greek beta use din math. 3. This is script. One of my favourite fonts that I paid top dollar for and Docs will not let me use it. 2. This is an example of ligature. In grade 8 we had an actual movable type class which I really liked. 1. Serif; same source as 2. 1. I believe this is best described as an arm. However it is much like a serif and I believe one could be forgiven for calling it a serif, simply because it is the only number to have such an angled stroke, even though most serifs in letters are angled down strokes to the right and this is an angled down stroke to the left. Nevertheless is appears to serve the same purpose as a serif in a letter form character but I believe arm is the better term. From my college days and breathing in the lead fumes of a Linotype machine from a part time summer job at a typesetting shop I know a little bit about fonts and font design more particularly the drawing of shapes of the letter characters, I knew that I would have to zero in on pages discussing the drawing of fonts versus the use of a font in graphic design or web design or examples of fonts. Only a font designer is skilled in the design of typefaces and fonts. Whereas a graphic designer (typically) uses the font (and may modify it but rarely needs to design it from scratch). Although I knew this I had no idea whether Google would know about this. This last search led to 2 results that defined many (though not all) of the various pieces parts of a font letterform. On this second link lo and behold the very first entry is Arm which yielded the definition I quoted above. What made this problem challenging is that there is actually almost nothing to be found on Google showing examples of drawing number fonts. Lots of examples of drawing letter forms. And tons of pages displaying fonts. So this is quite a needle in a haystack. wiki - Regional handwriting variation - see "Arabic numerals - The numeral 1"
Why is 1 hand-written without a serif and 7 without a dash? A Beautifully Illustrated Glossary Of Typographic Terms You Should Know Ctrl- F “ligature”! A gadzook or a quaint? 3. You often see elaborate / decorative characters in type. Collectively, what are these kinds of characters called? 4. Every so often I want to use a character that I KNOW exists, but I don't know the name, so it's hard to find and I'm reduced to manual search. Here are a couple of such characters. What are they? To find them, we have some tools that previous SRS Challenges have mentioned. Finding them and for many of us, knowing them in many cases is also a problem. We can’t use something if we don’t know it exists. the "ß" in German may be regarded as glyphs, yet they were originally ligatures...Two or more glyphs which have the same significance, whether used interchangeably or chosen depending on context, are called allographs of each other. 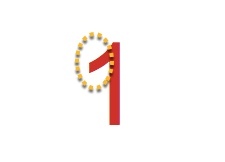 1. the flag of the "1" figure. 4. When looking for a particular glyph, Unicode is your friend (Wikipedia will tell you). But if you don't want to look at all those fancy tables, just try an image search of the glyph, it may give good results. ∀ is the math logic for all symbol, like in ∀ x ∈ ℝ, google images gives good results. ß is the eszett, a german grapheme called s sharp in english. Google images doesn't work very well here, but you can see a german text with that letter as first result. Giving "german" as a hint returns the results immediately. Þ is the thorn letter. Google images doesn't know it at all. There you have to look at those Unicode tables. what if coral is attractive? hope the travel won't cause a typo delay… does anything unusual ever happen on the trips? The results confirmed that this part was called the serif. We will get back with other questions later. Harvard educated Tessa Lyons-Laing, of fb notoriety, endorsement b^.^d - (double thumbs-up emoticon) — like the updated format, adding your Mom is a nice touch. "do not use this site as a source of reference for your own research!" "The CryptoKids characters and names are trademarked by the US National Security Agency and are used for satirical purposes without permission. "Rosetta Stone" is a trademark of Fairfield Language Technologies and its use is acceptable collateral damage. Other mentioned company trademarks belong to their respective owners. ZPi is not associated with the NSA, the US Government (either Federal or Shadow), or the International Union of Espionage Doers." anyone heard anything about a googly thing-a-ma-bob gizmo lookey/findy motor? a Swiss McMontage of the location… again, nice pastries perhaps Dr. D has visited? “Shift happens” Ignite talk, 2016 - 148 views…?=book?